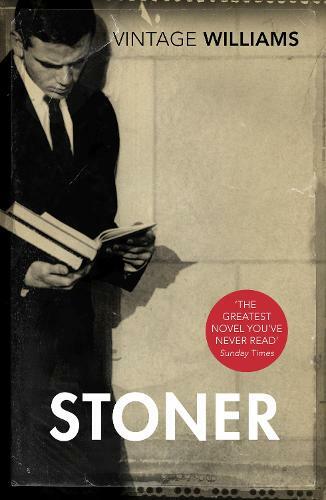 Almost fifty years after its initial publication in the United States, fresh European translations of John Williams' campus novel Stoner began to rekindle interest in both book and writer. Spearheaded most particularly by Julian Barnes' article for The Guardian on unearthing what Barnes referred to as "a true 'reader's novel', in the sense that its narrative reinforces the very value of reading and study. Many will be reminded of their own lectoral epiphanies, of those moments when the magic of literature first made some kind of distant sense, first suggested that this might be the best way of understanding life"
As a bookseller, we were thrilled to play a part in the recognition of Stoner as a truly great book, becoming our second Waterstones Book of the Year in 2013. Despite its heavily academic setting, the life and experience described is properly universal and contains its own kind of unsolvable, but essential, sadness. American author of Stoner and Augustus. Couldn't put it down - absolutely riveting; every page is as fresh as a daisy; characters superb and the story quiet yet monumental. Really good book, couldn't praise it highly enough.